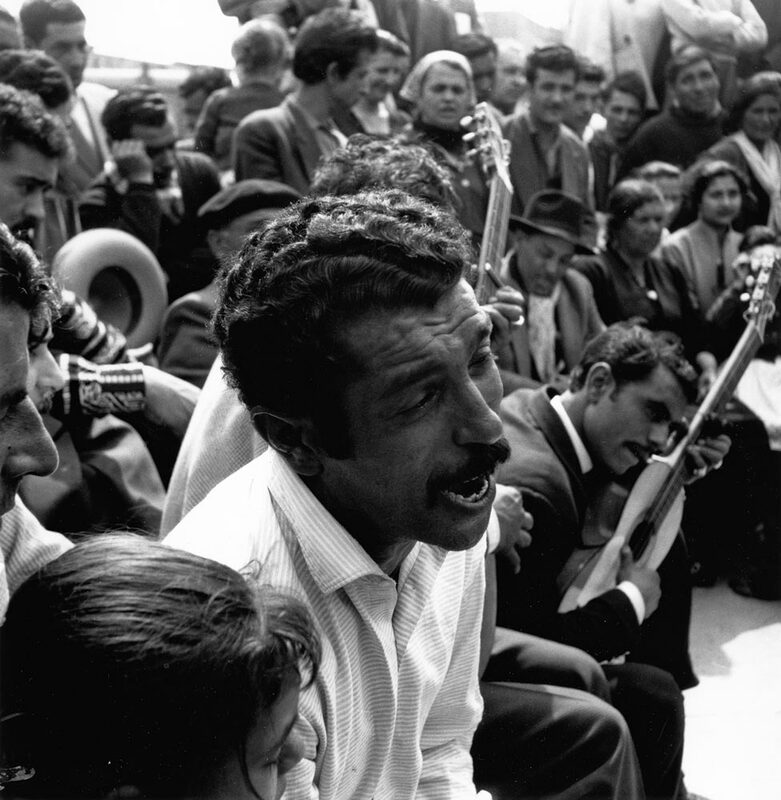 Gypsies are people to whom the present only exists. 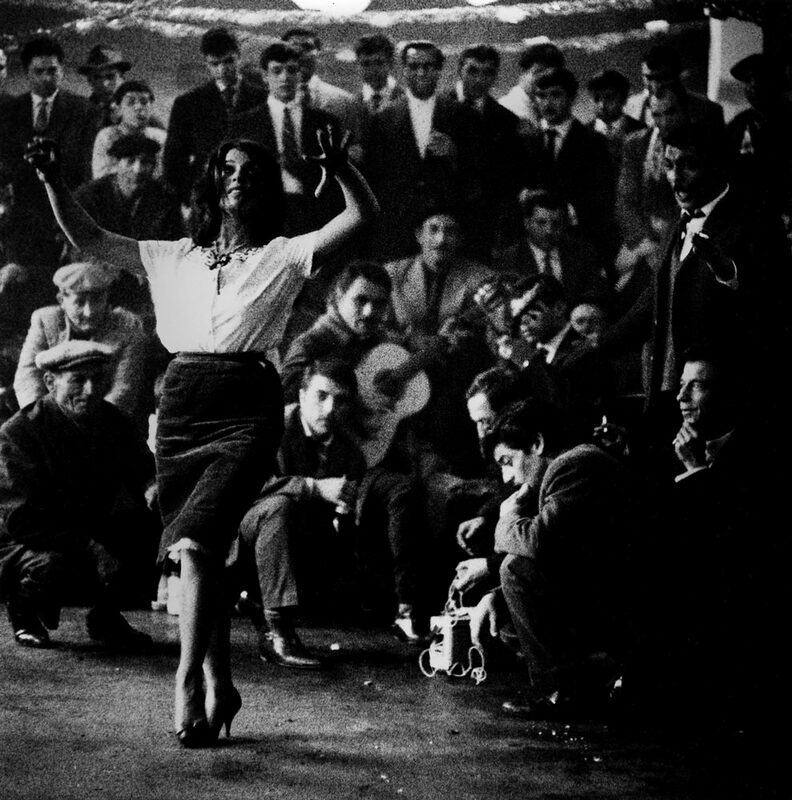 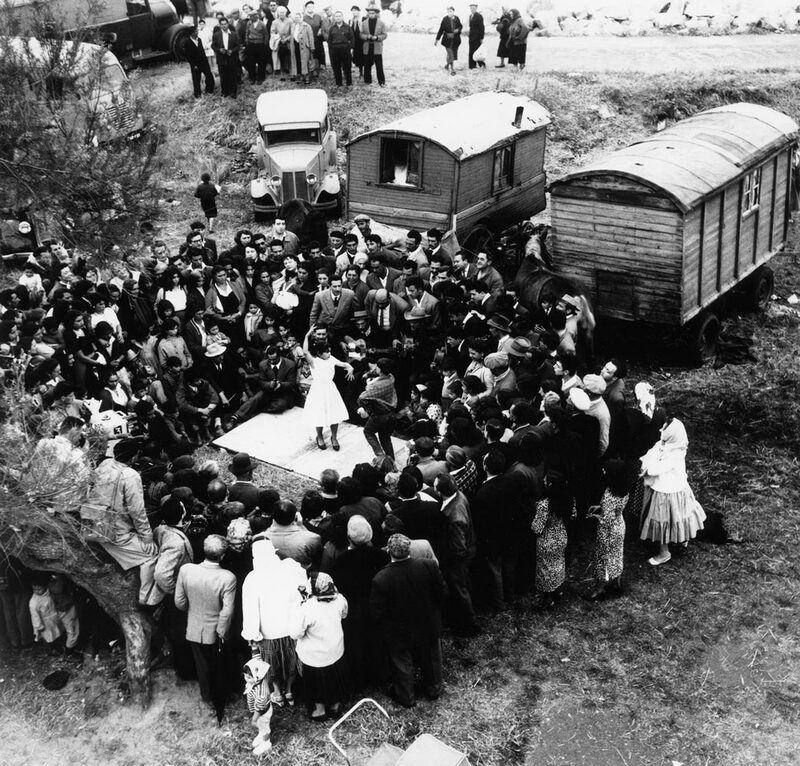 It was in 1955 that Lucien Clergue plunged into the gypsy universe by going to the annual pilgrimage in honour of the gypsy patron Saint Sarah the Black. 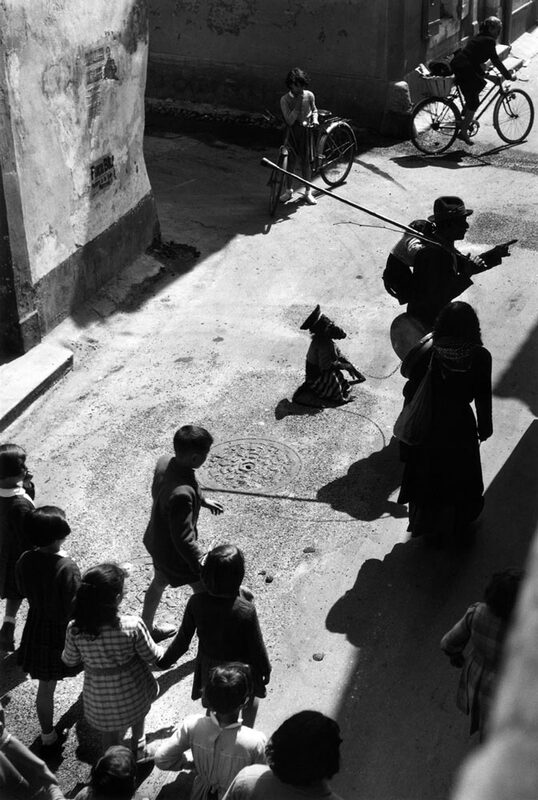 There he bumped into one of his neighbours from Arles, the singer José Reyes with the young guitarist Manitas de Plata, then unknown. 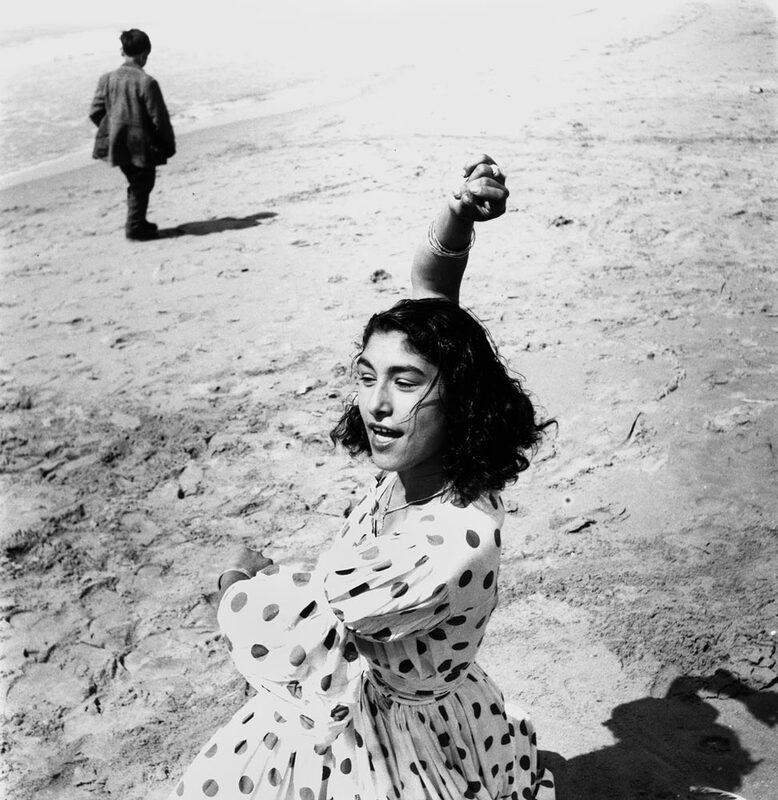 Accepted into the gypsy community, Clergue did not seek to draw our attention to their difficult living conditions, but rather, his reason for photographing them was his fascination for their movement, their sometimes violent vitality rhythmed by dance. 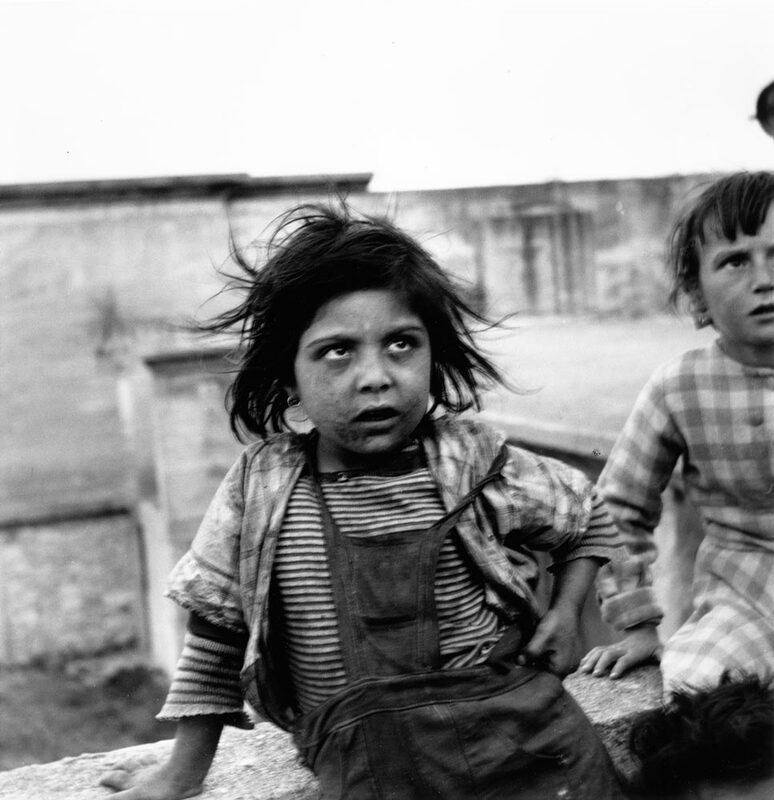 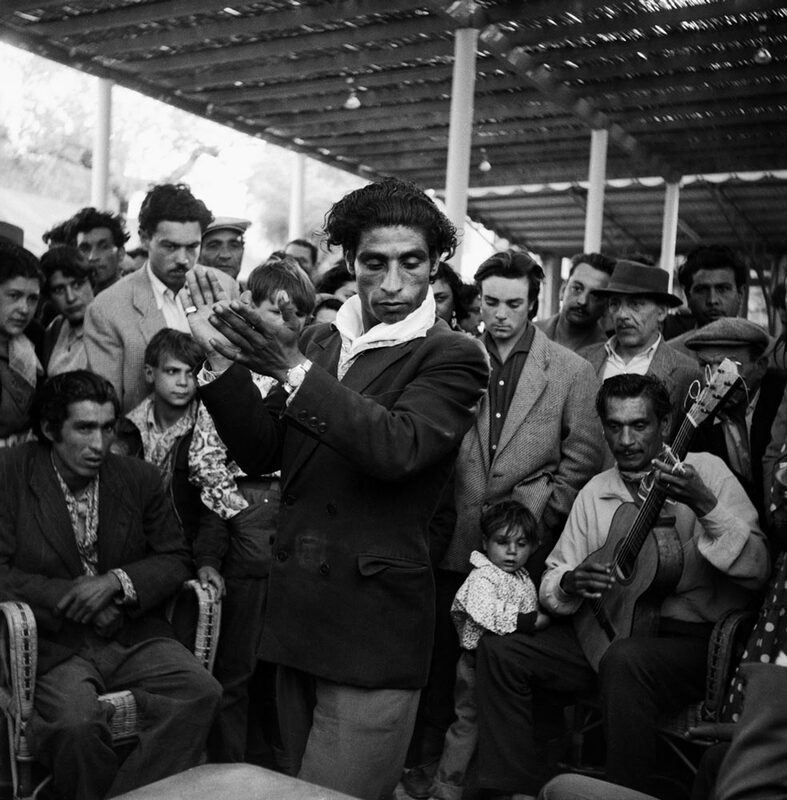 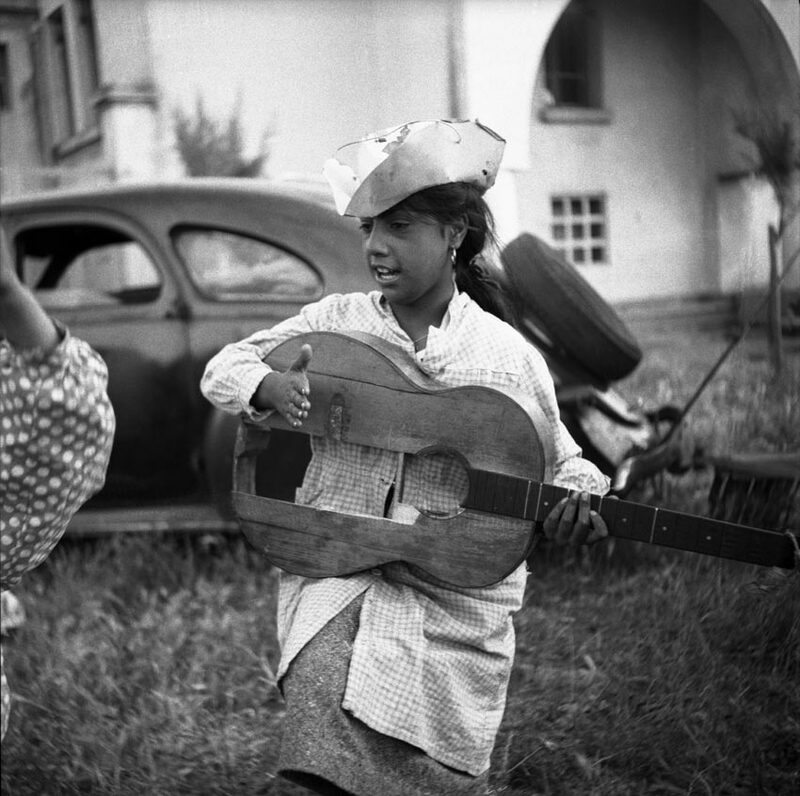 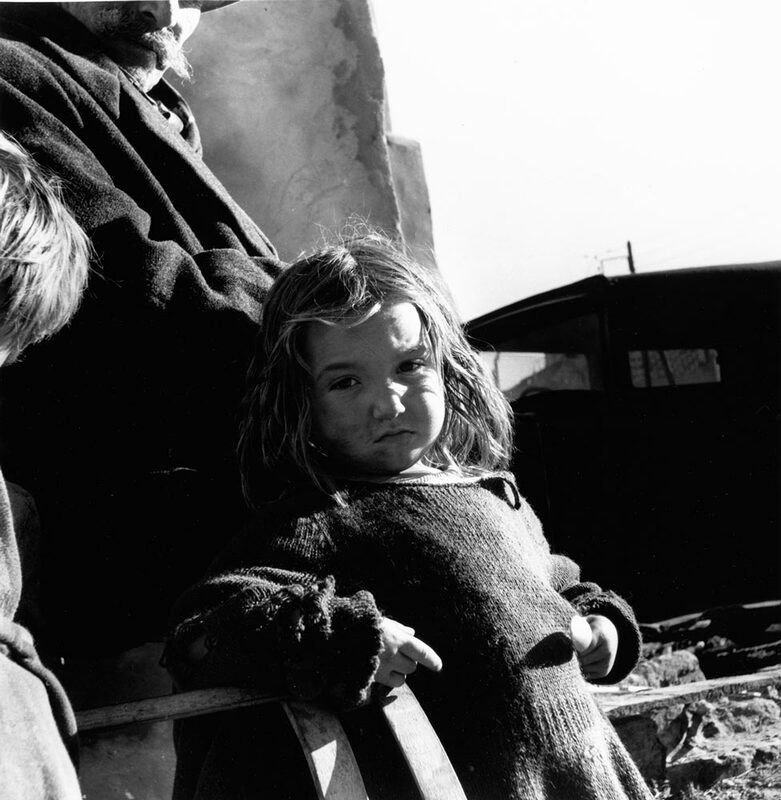 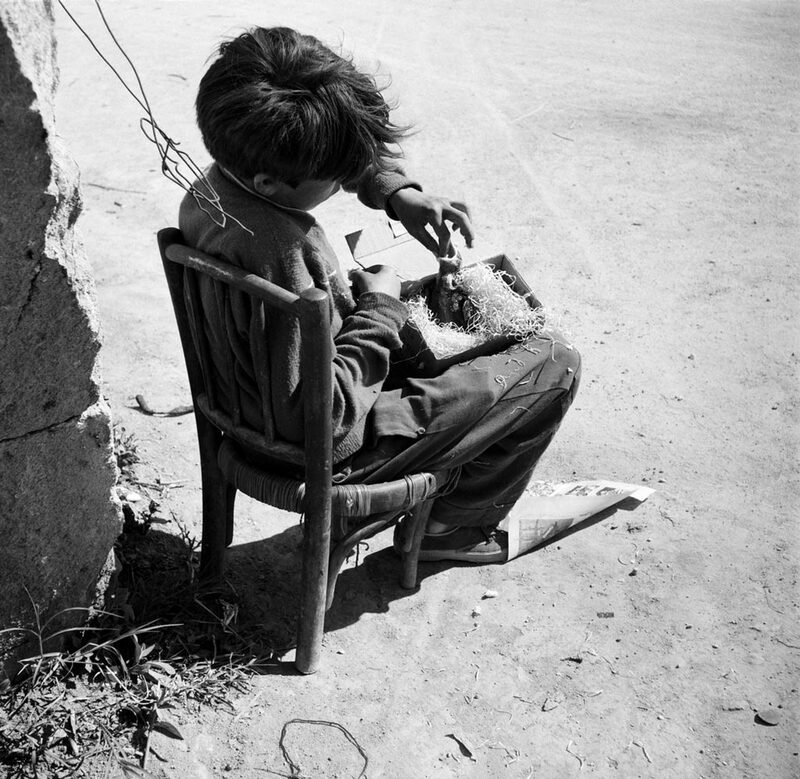 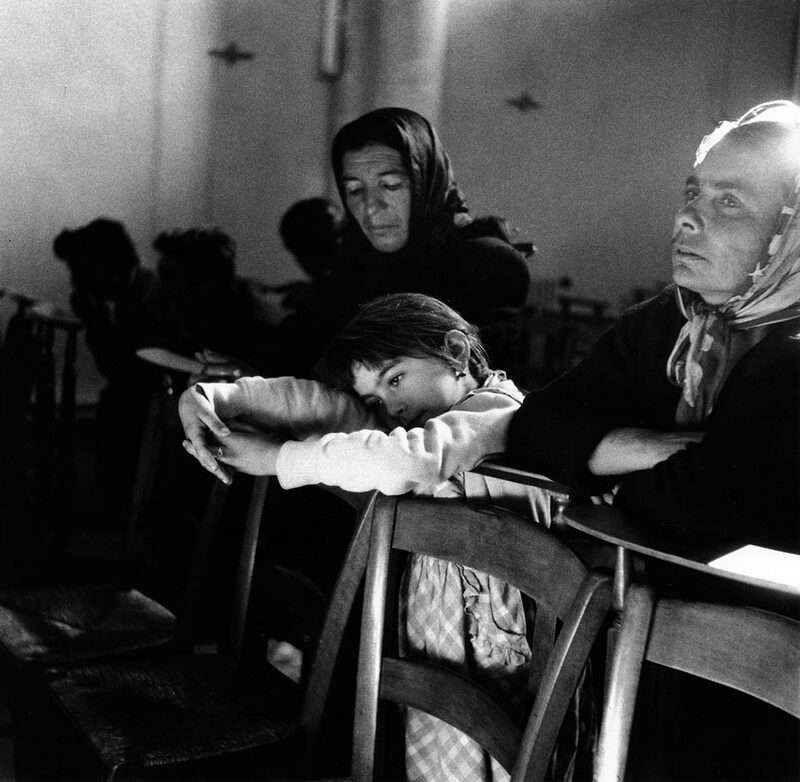 Jean Cocteau, inspired by these vigorous photographs of gypsies, used Clergue’s work for his fresco in the chapel at Villefranche-sur-Mer, and described in his letter of 1957 to the young photographer, the pervading atmosphere in the gypsy community: They sing, they dance, they form a circle and none may enter save he whose blood flows lightly in his veins.